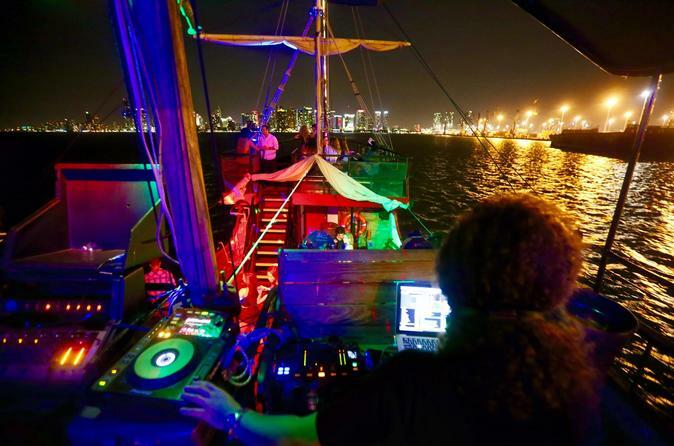 Dance the night away under the starry Miami skyline aboard the only pirate boat in Miami - the El Loro! Enjoy a cash bar, a professional DJ playing the latest tunes and a fun and energetic environment! This 75 minute cruise is the perfect way to end your day in Miami! The best place to dance the night away in Miami is on aboard El Loro, Miami's only pirate boat! El Loro is the most exclusive boat you will find in Bayside Market Place. The ambiance it’s perfect to party since its fun and unique! A full cash bar is located inside the boat where you are able to purchase drinks (adults only). Conveniently located at Bayside Marketplace on the right side of the main stage, this is the perfect way to spend the evening in Miami.